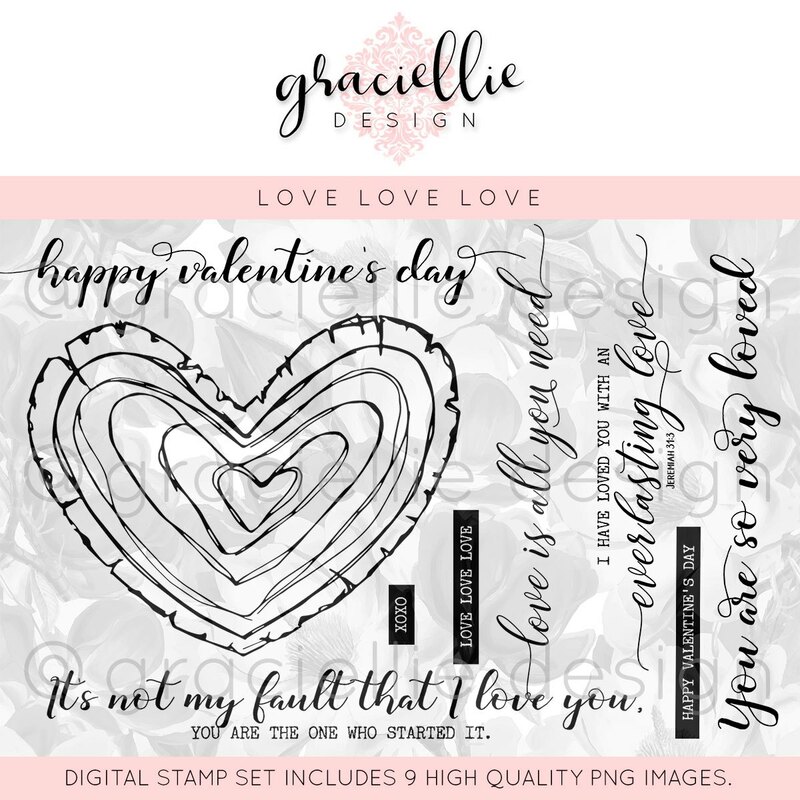 Today I have a clean-and-simple Valentine card to share with you featuring one Graciellie's new digital stamp sets --- Love, Love, Love. 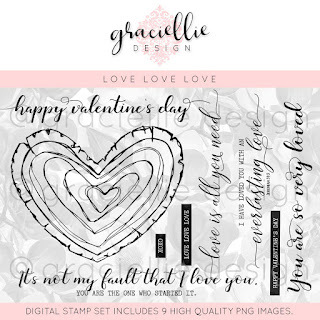 I love all the different tree ring stamps out there, but I think this one is extra fun because it's in a heart shape! Gorgeous card Esther and I am with you, I am in LOVE with that tree ring stamp!! Thanks so much for joining the SHOPPING OUR STASH crew for "Hearts on Fire"
Count me in as a heart-shaped tree ring lover as well. The images are WONDERFUL. I love the way you used them in your design - and I love that bit of sparkle in the center of the heart rings. Just fantastic. 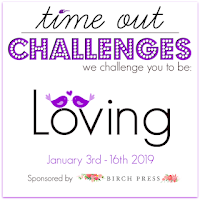 Thanks so much for playing wtih us at Time Out Challenges! I'm with the heart shaped trees! So so fabulous! What a beautiful image, love how you colored it the inside heart done with glitter is a beautiful finishing touch. So happy you shared at SHOPPING OUR STASH. This is a lovely design and so beautifully executed. I love Kraft cs with anything. Thanks so much for sharing this beauty with us at Shopping Our Stash! I really like your card - this image is awesome for a clean and simple card. The embossing is subtle but perfect as a background for this image. 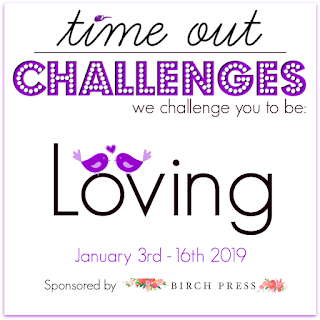 Thanks so much for joining our embossing challenge at Tuesday Throwdown. So glad you shared this with us!